The Air Jordan 13 Altitude is one of the most underrated Air Jordan 13 to date. The black leather upper makes for sleek design. On the outsole and tongue, you can find altitude green finishes to add flavor to the appearance. The quality build on this sneaker is like no other. The subtle design of the black and green makes for a great look. 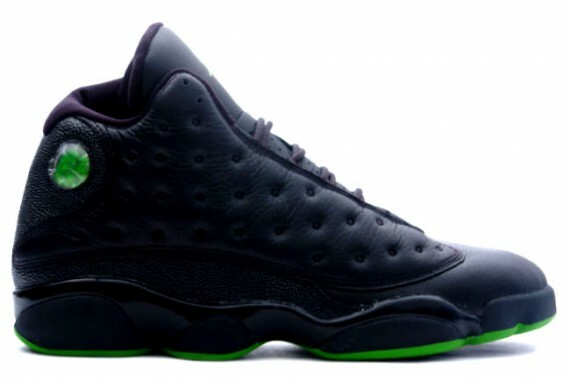 DonвЂ™t sleep on your chance to cop a pair of Air Jordan 13 Altitude.